Deliver Impossible Dreams to those in Need! In the 1990s, John ventured into producing television programs, with one show being booked as a series by the Ten Network in Australia. The program was titled “Dreams Can Come True” and featured the fulfilment of unbelievable dreams for some very worthy people. Whether the storyline involved an ill child meeting a superstar or a heart-warming family reunion, the program’s intention was to provide inspirational, feel good entertainment for the whole family. And that’s exactly what the TV show did, enjoying huge ratings nationally when it screened each week. 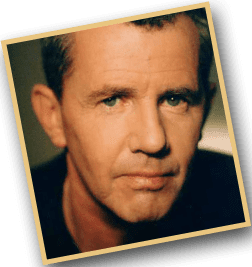 John ensured that his wow factor philosophy applied to the program and huge names such as Michael Jordon, Princess Di, Meatloaf, Paul Hogan, Mal Meninga, David Duchovny and Gillian Anderson – and many more. John devised the program format because he was frustrated with the television menu which was being offered on free to air stations every night. Most of the shows were highlighting crime, wars, family conflicts and dodgy business practices. 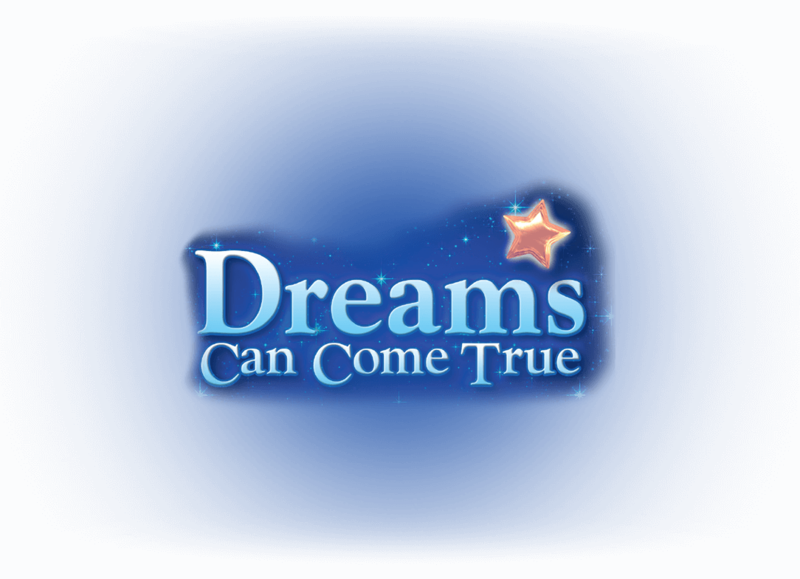 John felt that it was about time that some heart-warming television hit prime time – and Dreams Can Come True was it! John convinced former rock star, Daryl Braithwaite, to host “Dreams” – and Daryl did a great job in front of the camera every week. There were tons of “highs” throughout the series, from Michael Jordon’s rendition of “Happy Birthday” to a young 15 year old wheelchair basketballer from Australia – to Princess Di giving a young Sydney cancer victim “a warm hug” that immediately hit the front pages of newspapers and magazines around the world! And the program had the nation in tears when an entire township rallied together to rebuild a 16 year old leukaemia victim’s house, when it was discovered her “dream” was to leave hospital and come home. The program had wow after wow after wow and at last, there was a show on TV which made viewers feel good about their fellowman and inspired everyone to help someone else whenever they could. Here’s some selected segments from John’s TV program. You’ll enjoy watching each of these wonderful and inspirational stories, where dreams magically came true for ordinary people. Aside from getting your Kleenex tissues handy, get ready to say “wow” when you see some of the dreams that John and his team pulled off! Michael Jordan makes a dream come true for a 15 year old Australian wheelchair basketballer! Jay Campbell was born with spina bifida and unfortunately endured much of his life in a wheelchair. Naturally, Jay had his down-times, but in his early teenage years, he took up wheelchair basketball passionately and quickly excelled to the level of playing in the Australian Under 16 Wheelchair Basketball Team. Jay’s dream was to one day attend a Chicago Bulls Basketball Game in the US – but because this was outside the financial means of his parents, it remained just a dream. John and his team were not prepared to just surprise Jay with a trip to the US to see the Chicago Bulls, they went a thousand steps further and arranged for Michael Jordon to personally meet Jay on his 15th birthday and sing Happy Birthday! Princess Diana makes a dream come true for a Sydney teenager! This is a very emotional and much loved story about a young 13 year old girl called Emma, who had unfortunately lost her leg to cancer some years earlier. She dreamed of one day meeting the most famous princess of all and John’s “Dream Team” made it happen when Princess Di visited Sydney. And not only did young Emma meet her legendary princess, but her famous “hug” was flashed around the world, featuring on the front pages of newspapers from New York to Rome. Meatloaf meeting for a Sydney toddler! This is a fabulous story of a Sydney toddler called Lucy, who was tragically burned in a household kitchen accident. Unfortunately her pain was so severe during her burns treatment in hospital, the medical staff couldn’t calm her throughout the tedious treatment. Nothing could stop young Lucy’s screams, and understandably the little girl went through tremendous trauma. Then one day, Lucy heard international rock star, Meatloaf, in the background while she was going through her painful treatment, and miraculously she became instantly calm! As a result, the medical staff used Meatloaf’s music to continually pacify Lucy, enabling hospital staff to provide her with her much needed treatment. Upon Lucy’s recovery, her parents’ dream and Lucy’s dream was of course to meet the hero who helped her through the most painful period of her life. The Dream Team made it happen. – TO A NEW HOME!! Erin was 16 years old and unfortunately was diagnosed with leukemia just four years earlier. She had spent the last 6 months in Ronald McDonald House and was awaiting a suitable bone marrow transplant donor. Erin’s dream was a very simple one, to return home. But unfortunately home was a derelict shack on an isolated property in Southern New South Wales – and with Mum and Dad both unemployed and existing on carers’ pensions, they didn’t have any hope to fix up their home for Erin. The house had been sadly neglected through their long absence with Erin in Sydney, with the windows being smashed, the roof having holes in it and the door having fallen off. The Dream Team heard about Erin’s plight and with the assistance of the entire community, Erin’s home was basically rebuilt from scratch, receiving an unbelievable facelift. Erin’s home coming and surprise party was something that everyone who attended will never forget for the rest of their lives. Here is the story of a young 15 year old boy who not only provided his mum with a dream come true, but also experienced one himself. Young Thomas Ray was a student at Newcastle High School and was one of 10,000 Australian children who look after their disabled parents. Thomas cared for his wheelchair-bound mother, Tania, and this meant that he really could never do things which most 15 year olds would normally be able to do. He had to wash, cook, clean and take care of his mum due to her disability. Through our secret contact, we discovered that Thomas’ wish was to just give his mum a holiday, in order to break the somewhat tedious lifestyle she endured every day. However, when we found out that Thomas was a mad X-Files TV fan, we decided to extend the dream a little further, and surprise both Thomas and his mum with a trip to Vancouver and the set of the X-Files TV program! So, Thomas not only provided his mum with a much-needed dream of a holiday, but unexpectedly, he received an unbelievable surprise himself! Crocodile Dundee, Paul Hogan, surprises young Sasha with a Flipper surprise! Sasha lives on the South Coast of New South Wales in Australia and suffers from a debilitating illness which has resulted in long stays in hospital and many hundreds of thousands of dollars in medical bills for her loving parents. Sasha is a wonderful young girl who refuses to give in to her illness. She inspires those around her with her positive spirit and she had just one special dream – to swim with dolphins. When we heard about this, we engaged the help of “Flipper” star, Australia’s own Paul Hogan. Sasha’s unexpected surprise was delivered to her via the big screen during the premier of Flipper The Movie. And before she knew it, Sasha was swimming with dolphins, an experience she will never forget for the rest of her life. But the surprises didn’t stop there. Because Mum and Dad desperately needed a new car for all of the transport to and from hospital for Sasha, the Dream Team organised for Toyota to throw one of these in as well! And to add to the surprise, Radio King, John Laws, presented the surprise motorcar to Sasha’s mum and dad! Rugby League Legend, Mal Meninga, makes a football dream come true! This is a story of a young Tamworth boy who had suffered his fair share of knock backs over recent years. Jamie Barnes lived with his mum in a modest van in a mobile home park. Without a father to play “footy” with, young Jamie dreamed of one day meeting his footy heroes, Mal Meninga and Alfie Langer. The Dream Team pulled a few strings with the Rugby League hierarchy and before he knew it, Jamie Barnes was on an international flight to New Zealand with Mal Meninga, to watch Alfie Langer’s Brisbane Broncos play the Auckland Warriors! Jamie sat next to Mal Meninga in the grandstand and courtesy of Mal, had a personal meeting with Alfie Langer before and after the match!